A simple and light summer pasta recipe. Boil pasta according to package instruction. Halfway through, add in broccoli. Drain water when done. 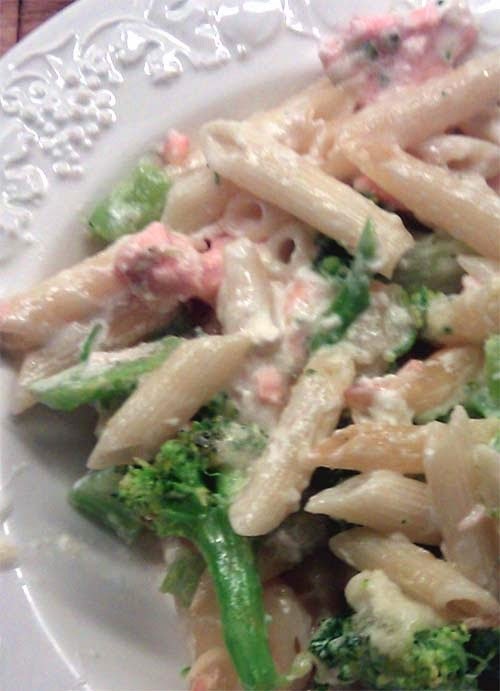 In a baking dish, mix pasta, broccoli, and salmon together. Add 1-2 cups of heavy cream. Salt and pepper to taste. Mix well. Top with cheese and bake in oven for 15 minutes or until cheese gets a little brown. For this grilling recipe for another salmon dish.